JuJu realised they needed to create a strong new brand to maximise on this new wave of demand and create a sustainable product. Brandwork was called in to create a launch campaign for the product that encapsulated the fun and exciting element of this ultimate summer shoe which would resonate with the youth market. 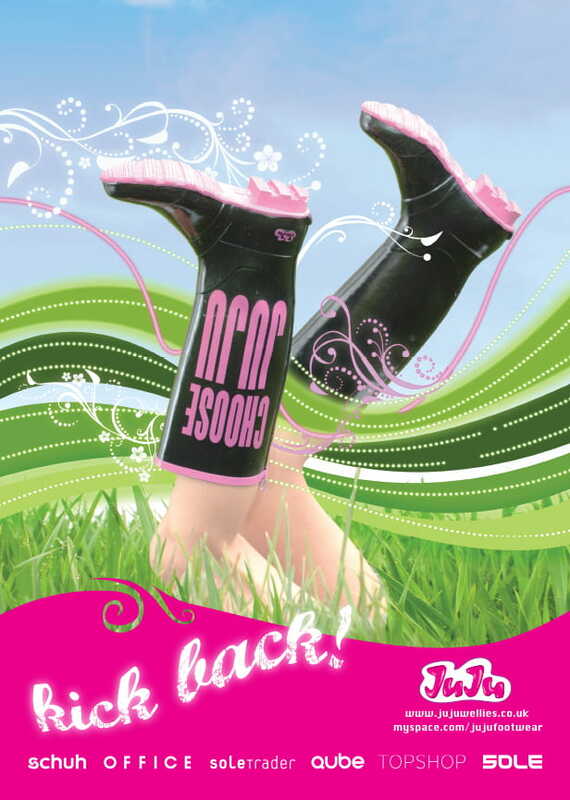 On the flipside they also wanted to include their other product ‘the festival welly’ to increase sales and offer the ‘complete summer footwear solution’. Positioning JuJu as the ultimate party/clubbing/holiday shoe Brandwork developed the Juju brand to include fun and quirky imagery, strong typography and blasts of colour against white. We produced a campaign strategy to raise awareness which included marketing and PR plans to ensure maximum exposure to the 16-25 female demographic. The brand was then rolled out across all material including press packs, lookbooks, sales packs and product inserts, POS, flyers, ads and merchandise. To hit our primary audience we utilised digital channels including social networking pages and online radio, plus created a roadshow with a jellies and ice-cream theme. Converting an ice-cream van into a ‘Juju-mobile’ to visit leading festivals across the UK to raise awareness, gaining exposure on the BBC TV, and Radio 1 and the BBC website. We also organised events, PR, advertising campaigns & POS to generate interest from our secondary audience – retailers and boutique shopping outlets. JuJu sales continued to increase and new retail partnerships created. Website traffic more than doubled during the campaign, gaining over 1,200,000 hits. 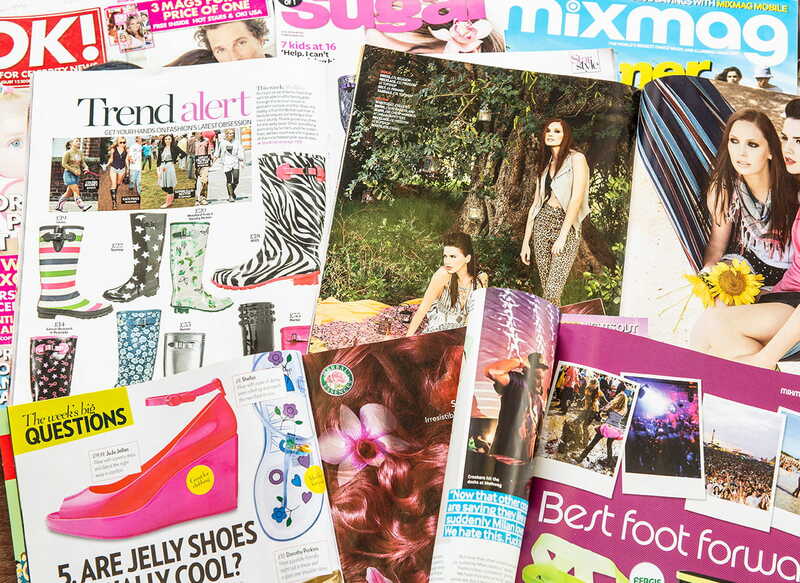 Juju gained coverage in nearly all major fashion/female magazines including Cosmo, Heat, Look and Grazia. Over 1.2 million visits to the Juju website in 3 months, up 400% on their best ever recorded quarter. 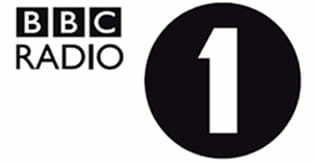 Over 150 competition winners with segments on ITV, BBC1 and Radio 1. Further coverage on major publications and celebrity endorsements. Over 30,000 followers online on Facebook, Twitter, Instagram and Tumblr.